Anna has everything figured out – she was about to start senior year with her best friend, she had a great weekend job, and her huge work crush looked as if it might finally be going somewhere… Until her dad decides to send her 4383 miles away to Paris. On her own. But despite not speaking a word of French, Anna finds herself making new friends, including Etienne, the smart, beautiful boy from the floor above. But he’s taken – and Anna might be too. Will a year of romantic near-missed end with the French kiss she’s been waiting for? I loved the book. I mean, really…never-wanted-to-put-it-down kind of loved it. I kept finding myself reading extra chapters even after I’d told myself I needed to sleep. It was that kind of book. Although it came out years before Fangirl, I found it gave me a similar kind of giddy rush while reading. I was immersed within their world, really caring about their lives and desperately hoping they would just get things together already. This is a relationship in a book—the good, the bad, all of it. I wasn’t even finished reading it and I was already online ordering the companion novels. I NEED more of Stephanie Perkins. She made me believe in YA romance again. 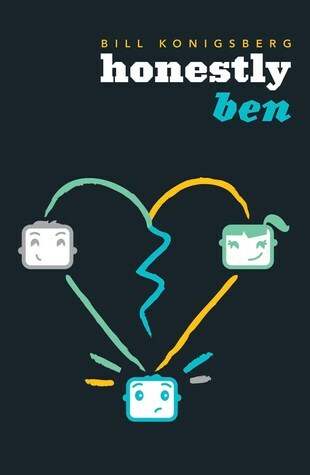 And while it’s definitely romantic, this book was surprisingly funny too. Anna’s internal dialogue rings true—the quirky awkwardness of falling in love, the worry, the excitement—she just said things that brought jabs of laughter out of me. I loved that. But it wasn’t only Anna pining over St. Clair. She went through the struggles of not wanting to explore the city out of fear of being unable to speak French, homesickness, and building new/maintaining old friendships. And with all of that came Anna’s unguarded sense of humour that kept leaking into her thoughts and reactions. Even though it’s set at a boarding school—it’s Paris. PARIS. From someone who’s never fanboyed (is that even a term?) over a city before, I have to say, this book made me want to go there—but with friends. I felt like the characters really made this book. The small, tightknit group they were a part of. They made it special. Sure, it’s full of angst, but it is enjoyable angst, angst can you root for. I could have done without the bitchy, popular-girl interlude though. I saw her purpose in the grand scheme, used as a way of progressing the romance along in the right direction, but that didn’t relieve my frustration with her and her general lack of a comeuppance. What I did like though, were the small snippets of Isla, the protagonist of the third book. It really got me interested in seeing who she turns out to be once the spotlight is on her. But as for Anna, I loved her perspective. She went through such tumultuous series of months. There are so many ups and downs full of flirting and confusion. The heartfelt moments are there, but so is the heartbreak. Anna is effectively the ‘other woman’, St. Clair unable to leave his long-term girlfriend that hardly makes an appearance, or at least, Anna never sees. It’s not exactly the perfect way to start a relationship, but it’s hard to deny wanting Anna and St. Clair to get their shot. If I had read a synopsis on the circumstances behind their relationship, I probably would have kicked into cynic mode, but the way it’s written, the pacing, the quips, the aww-moments—it’s just such an exhilarating, slow-burn of a romance. 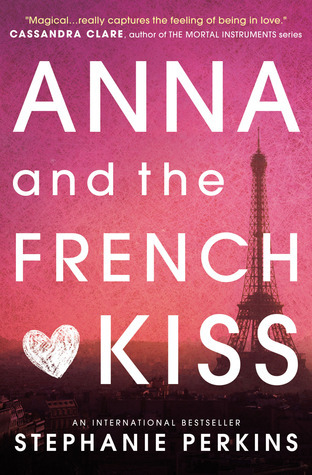 If you’re struggling with the abysmal romantic endeavours a lot of books are putting in front of us and expecting us to believe, dive into Anna and the French Kiss. You will be addicted. Woop woop wooooop. It made me believe in YA romance again, too. It’s just soo gooood. It’s been a while since I read this one and I forget where Isla makes an appearance? Isla’s there during the Anna/Amanda showdown. I think she made an appearance somewhere else but I can’t remember.